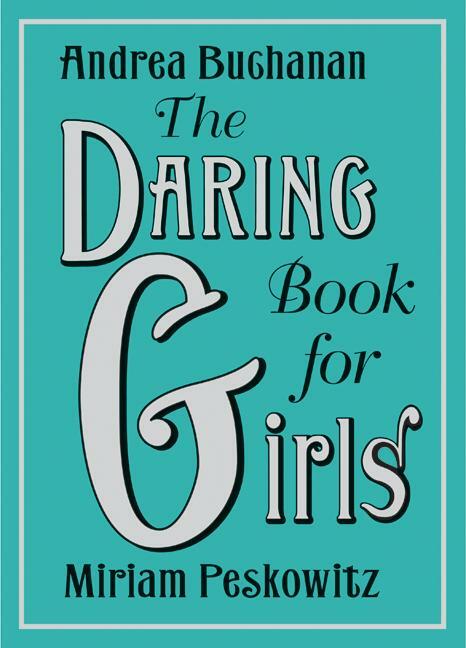 The bestselling book The Daring Book for Girls, by Andrea Buchanan and Miriam Peskowitz was published by HarperCollins October 30, 2007. As part of the book launch publicity, the authors conducted a blog tour in October and November. Some of the sites they visited included: MothersTalk, Neatorama, Dr. Helen, DaddyDaze and HipMama. This is another example demonstrating that many authors and some publishers are waking up to the use of blog tours as another publicity tool to help spread the buzz about pre-release or newly released titles. But this is still relatively new marketing territory. Since I’ve been advising authors lately on the in’s and out’s of blog tours, I thought it might be useful to provide a short course in planning and executing a blog tour to kick off the new year. The first order of business is to decide how to target the audience for your book in the blogosphere. You’ll want to determine all the keywords that characterize your audience and the topics or story of your title. Then plug those keywords into various blog search engines to get a candidate list of blog sites for your tour. You can also use lists of high traffic blogs such as those found on Forbes.com or specialty sites such as BlogFlux. As part of the planning stage, you’ll also want to create a blog tour request e-mail. This is something you’ll send to the blog owner to request either an interview, a book review, or in some cases, a live chat. Be sure to include the benefits their readers could gain from learning more about your book. As part of the preparation, you’ll want to have an author bio, book cover image, any testimonials and a pointer to the author’s blog or book website. 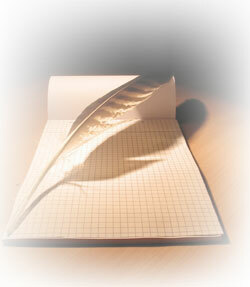 Be sure to have several excerpts ready to provide blog owners for posting. (Note that some publishers will put limits on how much of your book they want to have excerpted prior to release.) Blog owners who are conducting book reviews may want several chapters or an advance copy of the book. If the book has been listed prior to release on sites like Amazon, provide links, as well as any other ordering information you think appropriate. In the case of e-mail interviews, you may want to have a list of potential questions ready for blog owners. They are usually pressed for time and may appreciate the help. Once you have a list of candidate blogs, you’ll want to screen them for traffic and / or authority. Authority, as used by Technorati, is the number of blogs linking in during the last 6 months.) Traffic statistics can sometimes be difficult to come by, so authority, which you can find on Technorati.com is a good proxy- the higher the authority, the better. and generally, the higher the authority, the higher the traffic. For popular topics, I would stick with blogs that have authority levels or 100 or higher. Create a spreadsheet where each row contains the blog name, URL, blog owner name and e-mail address for each blog you are going to contact. Also include fields for status, schedule date and any special notes you want to make. Now you’re ready to send your request e-mail. Be sure to respond quickly when a blog owner answers your request. And don’t get discouraged if it takes awhile for some blog owners to respond. Many blog owners use Google Gmail accounts or blog contact forms; they often don’t check these every day. Whenever possible, try to schedule your blog tour so that it straddles the release of your book and ties in with your other marketing efforts, e.g. a multi-city book tour or reviews in print publications. This way it will provide the maximum amount of buzz as your title comes to market. Of course, the schedule is driven to some extent by the blog owners, but let them know what dates you are shooting for. Be sure to record the scheduled posting dates in your tracking spreadsheet. This will let you see how concentrated or spread out your blog publicity efforts are becoming. Finally, be sure to publicize your blog tour via press releases or by posting them on your blog or book website. This will make others aware of where your book will be featured. Remember, there is nothing magic about a blog tour. It takes a lot of time and effort. Be prepared to spend several hours per blog site that accepts your blog tour request. But the buzz that you can create is worth the effort. The great thing about an interview or review that appears on a blog is that it remains findable via search engines long after the title has gone to market. For more detailed information about setting up blog tours, check out Steve Weber’s article in the PMA Independent. So to all you courageous authors out there who want to leverage the viral powers of the Internet, good luck and happy touring! This entry was posted in book marketing, open publishing, readership strategies and tagged Andrea Buchanan, blog tour, Miriam Peskowitz, Steve Weber. Bookmark the permalink. Great article! Working with a company specializing in book publicity for over ten years (TCI Smith Publicity), we have also seen, first hand, the importance of blog touring and using the Internet in new ways to reach audiences. As your article states, it still takes time and effort to make it all work! This is an excellent article about virtual book tours. I wonder if one day VBTs will replace traveling book tours. The company I work for (Pump Up Your Book Promotion) specializes in VBTs. We’ve seen our business grow in leaps and bounds over the past several months. It’s great that authors are using the Internet to reach worldwide audiences without the expense of traveling. My debut novel has just been published, Megan’s Way, and I am searching for serious bloggers for my book tour! What a great find your article is! The only trouble I’m having is in actually tracking down well-read blogs. Any advice there? Congratulations on publishing your new novel. There are two approaches to finding well read blogs. You can do it yourself using Technorati (or any other blog search engine) and using moderately high authority blogs – say 50 to 500. Authority is a good proxy for traffic. You can also confirm traffic ranking on the site alexa.com which uses a ranking similar to the Amazon book sales rank – i.e. lower is better. Look for blogs with a rank of 250,000 or less. Most blog owners will provide an e-mail address or submission form to make your request. The other way is to hire a firm that specializes in blog tours. One service that I am aware of can be found at a site http://pumpupyourbookpromotion.com. You would want to contact Dorothy Thompson. Hope this helps. Good luck with your new book! it for me ?I need your answer,and I will be back again!